Jerr Fine is President of Revere Financial Corporation, specializing in liquidating non-performing debt. A decades-long resident of Los Angeles and a graduate of USC, he began his professional life as a contractor and developer of residential and commercial real estate. 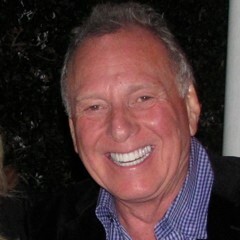 As President of Capfin Corporation, a specialty real estate lending business, Mr. Fine gained experience in banking, and as a member of the California State Senate Cost Control Commission he had been instrumental in studies that have led to legislation mandating the recycling of waste tires and curbing the costs of pharmaceuticals in the state’s prison system. Mr. Fine has sat on a number of local boards including the American Jewish University, where he served as Chairman of the Building Committee, the Westside Jewish Community Center, Friends of Susan (Funding Cancer Research), and many others. Mr. Fine is a member of the AJC Board of Governors, and has traveled with AJC on a trip with members of the Asia Pacific Institute in 2015 and visited both India and Sri Lanka.